The incredibly random musings and sometimes insightful thoughts of a dreamer and writer. This blog will detail my professional writing career, along with smatterings of reflections and opinions on the world around me. It is a special episode this week that we are calling The Breakdown of the Underdog. We are opening the vault this week to review five older movies that are about characters that must overcome great odds. We have an inspirational story about a young boy who wants to become a ballet dancer against the wishes of his working-class dad in Billy Elliot. We have a family movie with beloved characters in 1984's The Muppets Take Manhattan. Sylvester Stallone has experience in underdog stories and this time he is a rock climber trying to foil blood-thirsty thieves in Cliffhanger. We also have a father and son wilderness adventure in Walking Out. Because Scott hates me, we also discussed and review a Happy Madison 'comedy' in The Benchwarmers. As always, we had a blast recording the show and we really hope you love it. You can show that love by spreading the word of our show to other movie fans. Reminder that you can now subscribe either to The Movie Breakdown feed (a subscription link is at the top right hand of this site) or on iTunes (if you enjoy the show, please help us by giving us a five star review). It is the first weekend where the newly Disney merged version of Fox releases a movie and this one is the Christian film, Breakthrough. It isn't going to be a Disney-sized hit, especially compared to the box office juggernaut plowing its way into theatres next weekend. Like the other two new releases this weekend, it should have a specific demographic that is interested in checking it out. Unlike the other two releases, it didn't make its way out to Brantford, so I can't support its box office dreams. I can send you off to Scott who analyzes the three new releases' chances for box office success. Last weekend was busy at the box office, with four films hitting the screens. This weekend has three, and perhaps one of them may be mighty enough to take over first place from Shazam! It is going to be a tight race for first place, as the DC superhero actioner faces a faith-based film, a Disneynature documentary, and a horror that is relying on name dropping James Wan and The Conjuring franchise. Fox is looking to capitalize on Easter weekend by releasing the faith-based drama, Breakthrough. At the end of March, Pure Flix’s Unplanned performed better than expected, and I have a feeling that Breakthrough is going to do even better. One reason for that is because of a much wider release, screening in well over twice as many theatres as Unplanned. Add onto that the religious nature of the weekend, and there is a small chance that this could be the best of the newcomers. (Christopher: Also coming from a bigger studio means it has a much stronger marketing campaign. I saw its trailer 53 times at the theatre). As far as the critics go, Breakthrough currently has a fresh score of 64% on Rotten Tomatoes. While the film isn’t getting any praise for being subtle, there is some appreciation for the acting. 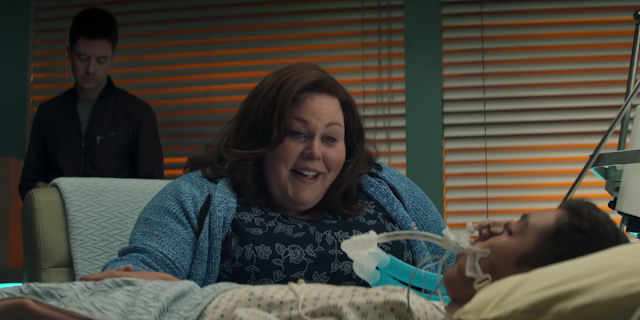 Chrissy Metz, of This is Us, is extremely skilled and could possibly provide enough of a face to bring out audiences that may have otherwise been sitting on the fence. Produced by DeVon Franklin, who was also behind the very successful Miracles From Heaven, this movie has a solid chance at a strong opening weekend. With Earth Day right around the corner, Penguins looks to grab attention from a day dedicated to nature (Christopher: The usual yearly strategy for the Disneynature animal docs). The fact that it is a family friendly film during the Easter weekend won’t hurt it. As is expected of Disneynature, it looks incredibly beautiful. Past Disneynature productions fit a pattern of ranging between four and six million for their openings, with only two exceptions. Chimpanzee from 2012 earned $10 million, while 2009’s Earth nabbed $8 million. Penguins probably won’t see that kind of success and will likely fall right in amongst the standard numbers. However, it should be noted that penguins have proven to be box office gold in the past. March of the Penguins in 2005 was a smash hit, ending up with $77 million domestically. I cannot see Penguins getting anywhere near that, but the cute little birdies are interesting enough for all age groups to enjoy. And there was a penguin in Fight Club. How does that help? How does it not, I simply reply. So far, all the films set in The Conjuring universe have had massive opening weekends. The smallest so far was Annabelle: Creation, and that took home $35 million. The big difference between those films and The Curse of La Llorona is the fact that the other films had a visible connection to The Conjuring. Apparently, a priest from the final scene of Annabelle has a supporting role, and that is the complete connection. At least with Annabelle and The Nun, viewers were going in seeing something that was specifically a part of The Conjuring movies. Will a throw away character and name-dropping James Wan in the trailers be enough to really convince people to come out? I don’t think so. Currently, The Curse of La Llorona is sitting at 35% on Rotten Tomatoes, which needs to be taken with a grain of salt when it comes to horror films, as critics opinions mean less in this genre. So many supernatural horror films have come and gone, and this one needs something to show that it is different. To me, the marketing materials don’t do that, as the trailer is just a laundry list of clichés. One element that it has going for it, is the fact that it is based around Mexican mythology, which may open the door for Latin audiences. Back in 2014, Paranormal Activity: The Marked Ones aimed for the same crowd and did not perform nearly as well as the previous films. However, I believe that had more to do with the fatigue of the franchise than it did with having a film focusing on a minority group. It is another big episode of The Movie Breakdown, because this past weekend was the Star Wars Celebration in Chicago, so you know we had to talk about all the big news coming out of that. We debate the future of the series and also make some predictions for what we should expect in Star Wars: The Rise of Skywalker. But before we get to that, we have four reviews of new releases including the latest stop-motion animated adventure from Laika Studios, Missing Link and as well, the directorial debut of Brie Larson in the whimsical Unicorn Store. We also have some more foreign film in the French thriller Burn Out and the drama about a transitioning teen in Girl. As always, we had a great time recording the show and we really hope you love it. We want to thank you once again for listening to us each week and if you do enjoy the show, please help us out by spreading the word to other movie fans. Will the Box Office Be Cruel to the Money-Making Intentions of 'Hellboy', 'Little' and 'Missing Link'? The weekend is almost here and that means a whole new slew of theatrical movies are upon us. It is a loaded week with four pictures opening today, and all are hoping they have an audience salivating for their arrival. Scott looks at the box office chances for each one and explains why some may be hits while others may be scrounging for loose change. He also might make you want to revisit the cult hit, Cruel Intentions. While I thought that last weekend was a crowded marketplace for movies, this weekend ups the ante with four films entering wide release. No two films are hitting the same genre, so there is much to see for everyone. It is expected that last week’s Shazam! is going to take first place again, and the race will be down to which film will land in second. An argument could be made for two of the films having a chance to land behind Shazam!, and it’s likely going to be a close race. Warning: I’m not very professional in one of the predictions written below. Guillermo del Toro brought the first adaptation of this property back in 2004, and it had a solid opening of $23 million. At this point, the biggest difference between that one and the newcomer is the critical reception. Del Toro’s film sits at 81% on Rotten Tomatoes, and this year’s film, directed by Neil Marshall, is performing at 11% at the time of writing. In total, there have been two previous theatrical Hellboy films, as well as two animated videos. The character has a fan base, and I imagine that it will create a front-loaded opening that will fall short of del Toro’s 2004 effort. Being one week after another action film in Shazam! isn’t going to help its chances at all. With Regina Hall’s name attached to this comedy, it should attract a crowd. People may have to be prepared for Hall to be absent for the majority of the film, as her character turns into a young girl in a reverse on the Big formula. Honestly, the trailers look like there could be some good laughs in here even with the Rotten Tomato rating being 52%. The last comedy to get released in over 2,000 theatres was Tyler Perry’s A Madea Family Funeral over a month ago. Sitting amongst actions, horror, and drama, Little offers something different for viewers to turn to. The tracking for this film is anywhere between $12 and $17 million, and I’m going to go bold on this one and lean towards the top end of those estimates. Produced by Laika, Missing Link looks exactly as one would expect. It is gorgeous, the story is interesting, and its a hit with critics (currently at 88% on Rotten Tomatoes). Laika has had five Oscar nominated stop motion films already, and it wouldn’t be crazy to guess that Missing Link will end up with another Best Animated Feature nom. Five years ago, Boxtrolls claimed their best opening weekend $17 million, but the tracking seems to be on the lower end of Laika performances. 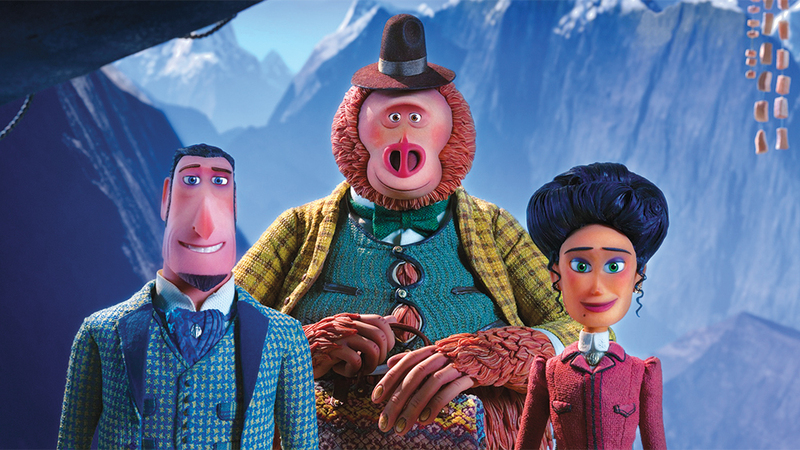 The cast is as impressive as the visuals, but, as with many Laika films, this one won’t have the kind of opening weekend that is common for more conventional animated films. Well, if I were to ever ask someone to create for me a parody trailer for a young adult take on Fifty Shades of Grey, I’m sure I would end up seeing something identical to the trailer for After. I suppose, there is some sort of audience for a comical looking romantic drama about a girl who falls for some kind of mysterious hunk with a pretentious and forced name such as Hardin Scott. I have looked into the bowels of hell, and they are screening After 24/7. Apparently, there is some sort of connection between this story and the boy band One Direction, which means there will be a few people lining up to see this. For all of those interested in something that doesn’t appear to be derivative to the max, Missing Link is an option. Heck, anything is an option. All of those looking to see a film with every cliché since Cruel Intentions will be lining up for After. After Opening Weekend Prediction - Ugh… I don’t know… perhaps $4 million? On the topic of Cruel Intentions, Sony released it in theatres a few weeks ago to celebrate its 20th anniversary. I’m not sure what they were thinking as far as a continuing audience for this film, but it was screened with the 13th highest theatre count and ended up with that weekend’s 97th per theatre average. I’m not sure how After will do on its 20th anniversary release, but my gut says it won’t do nearly as well. Scott is back with some analysis of how he did with his opening weekend box office predictions. 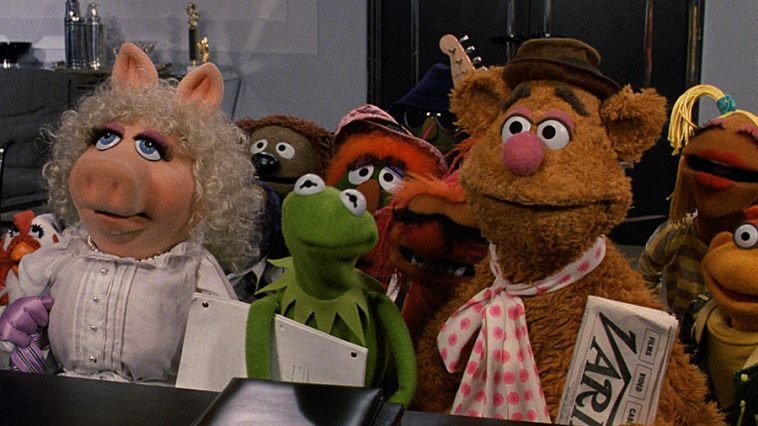 It was a diverse weekend at the box office, but it became clear there were only certain movies that really attracted an audience. Scott looks at the reason each movie ended up grossing the amount that they did, and it is a great read for those interested in the box office race. After bombing out on my predictions a week ago, I was able to turn in a more respectable outing this weekend. The slate of new films was very diverse, with a superhero flick, a horror remake, and a drama about racism. Options were on the menu, and two of the newcomers were able to top the charts. For the second film in a row, Warner Bros DC has a hit on their hands. 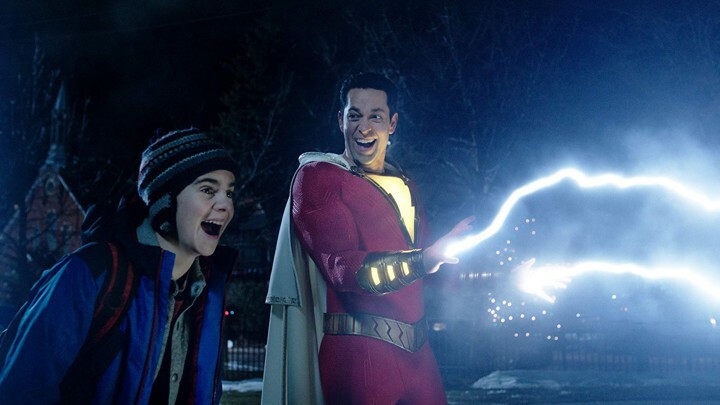 The change in strategy to move to standalone films that are director driven has delivered an estimated $53 million opening for Shazam!. It is the lowest opening weekend for a DC Extended Universe film, but that doesn’t mean anything bad. Early DCEU films tanked after opening weekend, and I can see Shazam! holding up well until The Avengers drops in theatres. With a budget of only around $100 million dollars, it shouldn’t be too long before this film is turning a profit. 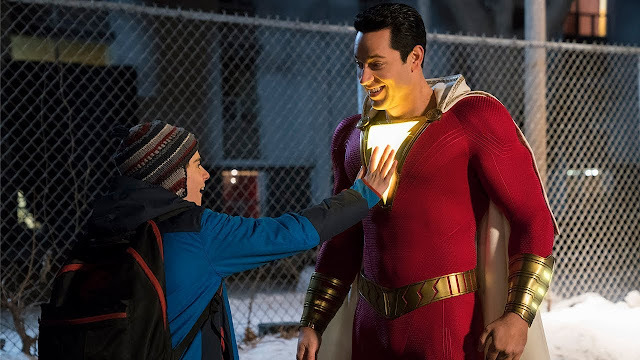 Going into the weekend, it was clear that critics were fans of Shazam!, and with an audience CinemaScore of ‘A,’ this was a hit with movie goers as well. One of the more interesting stats from the weekend is that 55% of the audience was over the age of twenty-five. I really thought that this would be a superhero film that would be relying more on a younger crowd to push it forward. This statistic is healthy for the film, as I believe it shows it is not relying solely on the younger demographic. Coming in second place was Stephen King’s Pet Sematary. While I predicted an opening of $30 million, I had a feeling that it could really end up breaking past that. I wasn’t expecting it to make the $25 million that it took in domestically, and the best I can do to explain that is to point the big ol’ finger at Jordan Peele’s Us. Paramount may not have picked the best timing for this film, coming only two weeks after Us, which has now made north of $150 million. With horror being very lucrative and a recognizable Stephen King property, I think Pet Sematary’s luck would have been better had it opened at another time. The legs of Pet Sematary may not be as good as Us, as audiences didn’t seem to enjoy it as much. Receiving a CinemaScore of ‘C+’ doesn’t give a lot of hope for its future. Brad Brevet over at BoxOfficeMojo.com compared it to the opening weekend of 2013’s Evil Dead, which raked in $25.7 million in its opening weekend (which happened to be the exact same weekend six years ago). Ultimately, Evil Dead struggled after the opening weekend, and only made $54 million domestically, with it’s opening accounting for 47.5% of its total. I think Pet Sematary may hold a little better than that, but I don’t think it will be sizeably different. Lastly, we have STX’s The Best of Enemies, which sees Sam Rockwell playing a racist for the second time in about two years. In my weekend prediction piece, I was worried that the lack of a Rotten Tomato score just prior to opening may not have been helpful to the film’s chances. Whether that was a part of the reason for it’s underperforming at $4.5 million, it seems that the people that did go out and see it enjoyed what they saw. The Best of Enemies earned a CinemaScore of ‘A’ and a Rotten Tomatoes audience rating of 74%. It should be noted, however, that there were only 87 audience members who gave it a rating, so there is a good chance that it is not truly representative of the audience experience. And now I am left to wonder why I even brought it up in the first place. I love when there is adult dramatic fare in cinemas, and I root for such films to do well, but sometimes having Oscar winners and nominees leading the cast isn’t enough to push people to buy tickets. You can't have a Monday without some movie talk, and The Movie Breakdown has you covered with reviews for four movies this week. Has it been too long since we debated superheroes? The drought is over as we discuss the latest DC Comics movie in the humorous and heartfelt Shazam! Do you prefer your movie about families to be dark and scary? Well, we have the latest adaptation of a Stephen King classic in the disturbing Pet Sematary. We've also got two Netflix originals in the Kevin Costner and Woody Harrelson starring movie based on a true story about former Texas Rangers hunting Bonnie and Clyde , The Highwaymen and the family film about rodeo rider trying to make a comeback after a serious injury in Walk. Ride, Rodeo. After that, we analyze if STX Studios will be able to replace Fox as a place for mid-budget movies for adults. As always, we had a blast recording the show and we really hope you love it. If you do, we'd really appreciate if you could spread the word to other movie fans. Scott is back with his weekly box office predictions this wekk, while I try to come up with clever titles for them. This is a tough week as I think all three movies could go way above expectations, but there is always a chance for the reverse to happen for one of them as well. Scott details if he thinks the movies will have big openings and provide some analysis for how he arrived at these predictions. As always, a great read for people interested in the box office. Spring time is upon us, and that means it won’t be very long before The Avengers is unleashed. Until then, Warner Bros is aiming to grab some super hero cash. As well, the remake of Stephen King’s Pet Sematary will be battling it out with Us for tickets from horror fans. Rounding out this weekend’s new releases is STX’s drama, The Best of Enemies. The latest super hero film from Warner Brothers is far away from the tone and aesthetic that Zack Snyder used to build the DC extended universe. I wish the man no ill will, but I think the franchise is better now that the films are more individualistic. James Wan’s Aquaman may have had the smallest opening weekend for the DCEU but was only the first film to break $1 billion world wide. It proved that audiences hadn’t been rejecting DC flat-out, and they could get behind one of the lamer super heroes if the film looked good enough. While I don’t think that Shazam! is going to be the wrecking ball that Aquaman was, I do believe that it will perform well. There is a charming uniqueness and sense of fun with this film. When you think about the modern super hero era in cinema, they aim to present themselves as movies for the whole family. 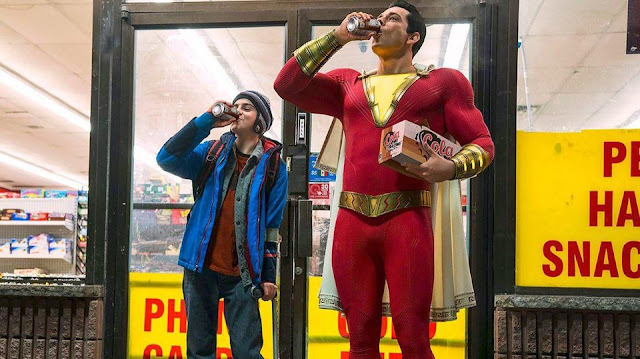 In the case of Shazam!, it nails the idea of it being for kids as well. What kid doesn’t dream of suddenly becoming a super hero? Currently, the film has a Rotten Tomatoes rating of 93%, which is a big win for the film, although DCEU films have still rocked big openings even with poor scores. The timing of the film may not be the best for its long term earning (with Avengers just weeks away) but positioned almost a month after Captain Marvel shouldn’t harm it. The last few years have shown that multiple big films can exist in the spring. Personally, I think the playful and distinct nature of the film is enough to get audiences out, even if there was a big super hero film not too long ago. I’m going to be bold and predict that this fun looking film will perform to the higher end of expectations. I’m pretty sure that this was the first Stephen King novel I ever read. There was one moment in particular with the back of an ankle that haunted me, and it looks to make a horrific appearance in this remake. The concept of the film hasn’t gotten any less spooky over the years, and the trailers look like this movie could be incredibly atmospheric. When I was a lad, his name was enormous, and films like Pet Sematary look like they can introduce him to a new generation of horror seeking youngsters. Two years ago, two of King’s stories ended up on Netflix, and another two in the theatre. The biggest of the bunch was It, a landmark success for horrors. King’s stories seem to be constantly made, but I do believe that his name has grown once again. The big problem for this film is that Jordan Peele’s Us only came out two weeks ago. With some horrors, that’s not an issue as they drop severely after opening weekend, but Peele’s film isn’t like that. I think Pet Sematary will still be successful, but not as much was if it were to open at another time of year when it wasn’t going against an Oscar winning horror specialist. However, there are some indicators that Pet Sematary could bust through expectations. According to fandango.com, it has more pre-sale tickets than A Quiet Place did last year. There is a chance that this film could fly past expectations, but I am not in that camp. I predict that it will have an extremely healthy opening weekend, nonetheless. The trailers look amazing, horror is hot, and the Stephen King name is hot. I’m delighted by an amazing cast of Jason Clarke, Amy Seimetz, and a really cool looking performance by John Lithgow. A movie about racial segregation, this could be some really clever counter-programming. Some studio executive may earn their wings for picking this weekend. Adults have shown that they will head out to theatres if the offering looks right, and the fact that this has Oscar winner Sam Rockwell and Oscar nominee Taraji P. Henson, this could prove tempting to audiences. The biggest downside right now is that at the time of writing, there is no Rotten Tomato rating. Bad reviews don’t necessarily sink opening weekends horrors or DC super hero films, but they seem to mean something to the older audiences, and I can’t blame them. If adults are having to not just pay for a movie ticket, but also a babysitter, being more discerning is the smart thing to do. With the film only being in 1,700 theatres, its potential top end is limited. I could see it going as high as $10 million, but I’m thinking that will not end up being the case. Labels: Best of Enemies, Box Office, Movies, Pet Sematary, Predictions, Scott Martin, Shazam! Scott's Box Office Analysis: Why Didn't Dumbo Soar in the Box Office? Scott is back with some analysis on the opening weekend numbers for two new releases. This is one of the week's where Scott can't gloat about his prediction powers but rather explains away how he missed the mark. He has some good analysis, but I do want to add that I think Dumbo is held up as a classic and I know many parents who show the movie to their kids. But it looks like it was not a classic that many of those parents were eager to be remade. That is the sometimes the issue with a popular story, not everyone is wants to see it retold when they have a perfectly good version already (though the original could do without the racism). As for Unplanned being R-Rated, I should mention a little movie called Passion of the Christ that didn't seem to have too much trouble drawing out the Christian crowds. As much as I would like to think of myself as some sort of prediction machine, eating hamburgers on Mount Olympus while breathing fire, sweating spring water and nailing opening weekend box office guesses, I have been known to get them wrong sometimes. In the case of this weekend, I messed up on two out of two movies, making my failure complete. 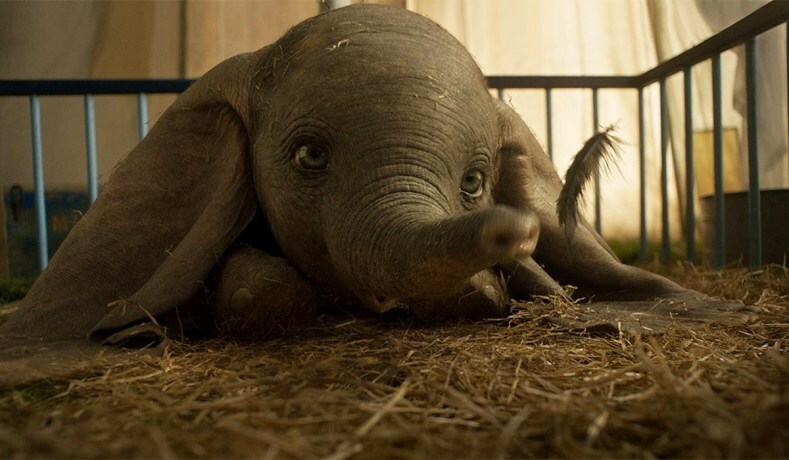 On Friday, I had written about Dumbo, and that the Disney name would carry it to success. That turned out to be slightly untrue. While it’s opening of $45 million isn’t horrible, it isn’t great for a film that had a budget of $170 million. I was fairly confident in my guess of $55 million and was very surprised that it under-performed. This is nowhere near a death knell, but I’m wondering if there will be any reactionary discussions amongst executives at Disney. With a CinemaScore of A-, I don’t think the performance is an indication of people disliking it, but perhaps more towards Dumbo not having the same ‘classic’ status of films like Cinderella or Beauty and the Beast. Really, this is just an indicator to a big studio of something that has been proven for decades: recognizable properties don’t equal hits. Personally, I think there is a place in Disney’s line up for these smaller title live action remakes (like Pete’s Dragon or Christopher Robin), they just need to line up with a proper budget. The other film that I got completely wrong was Pure Flix’s Unplanned, a Christian drama about abortion. If you were to look at the situation from strictly a numbers perspective, my prediction of $2 million may have been considered a bit low, but still very appropriate. I was confident that the fact it was an R rated faith-based film would hinder its chances. The signs were there that I was wrong, such as advanced private screenings and group ticket sales. Ultimately, it ended up being Pure Flix’s second highest opening weekend ever, with almost $6.4 million. For another notch in their belt, Unplanned also ended up being the fourth highest grossing film of the weekend. Part of its success, I’m guessing, is that it focused on a hot button issue, and one that could get Christian audiences moving. Add on the fact that the audience score on Rotten Tomatoes (because the audience score must be accurate) is 94%, and you have a mild success on your hands. I’m not trying to downplay the film by saying ‘mild success,’ but while it was a landmark film for Pure Flix, it still didn’t come anywhere near several of the breakout faith-based films. Also, I need to add that there was a reason why I didn’t include Harmony Korine’s The Beach Bum in my Friday predictions. When writing the piece on Thursday I was unable to find an accurate number of theatres that it would be screened in. While it does have numerous big names worthy of discussion, such as Matthew McConaughey and Snoop Dogg, it wasn’t something that I could predict with any confidence when lacking theatre numbers. I am a writer, so I write. When I am not writing, I will eat candy, drink beer, and destroy small villages.